Susan (left) and Heidi (right) – Half-Pint Volunteer Coordinators! 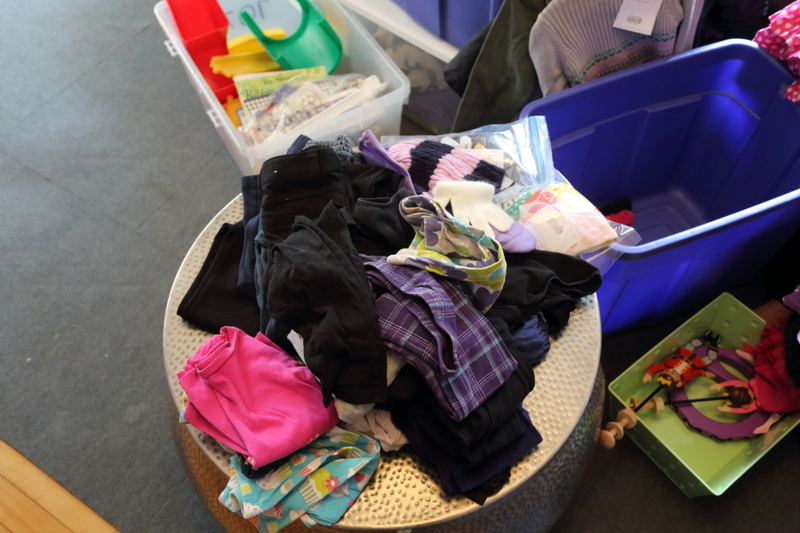 The thing we love the most about Half-Pint Resale isn’t the cute cheap kids clothing and toys and everything else we need (although, don’t get us wrong, it’s high on the list), but the Community that Half-Pint Resale creates. It’s full – to the brim! – with people who care about each other and want to support each other, and want the best for each other. We see it at the sale, we see it in line when people are chatting and meeting new friends. We see it in consignors who are parting with their favorite stripey sleeper because while it’s hard to pass it on, they can’t wait to see someone else find their treasure and love it and make memories in it just like they did. We see it in volunteers who sign up for the same shift every year or with the same people, because even though they didn’t know each other prior to the sale, they are now Half-Pint friends. And we see it in the Supporters who keep Half-Pint free for ALL shoppers, and for the services that they provide for the community. 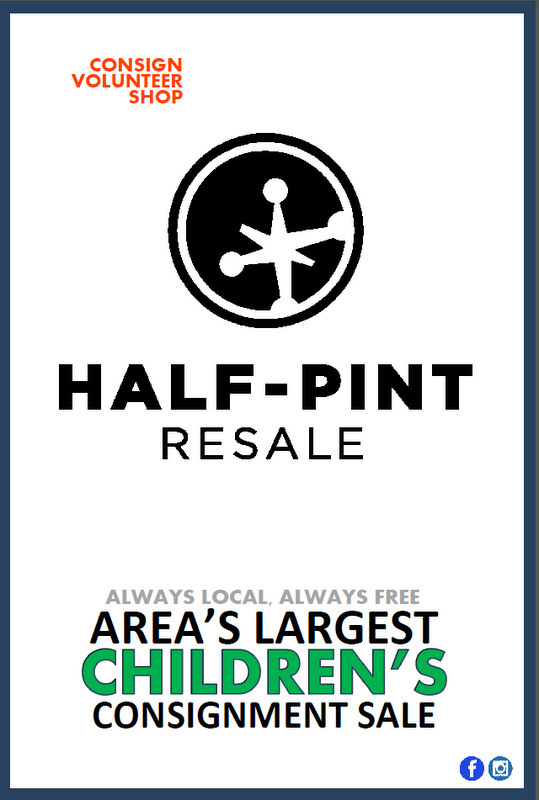 We hope that you’ll take a gander at all they have to offer; and if you use their services, tell them Half-Pint Resale sent you. Forward Fertility is a Madison, Wisconsin based surrogacy and egg donor agency that helps connects healthy women who want to be egg donors or surrogates with families in need of these services. Run by Christie Olsen, a women’s health nurse practitioner, Forward Fertility is Madison’s go-to resource for egg donation and surrogacy. Look for the free information sessions that are held each Spring and Fall to learn more about becoming a surrogate or forming your family through surrogacy! It is summer year round at SwimWest Swim School! Enroll in year round, indoor, warm water lessons to keep up your child’s swimming skills all year. Swimming is the only sport that can save your child’s life. Stop by the SwimWest table for a free family swim pass! Huckleberry & Persimmon is a place for families to grow, offering social/play groups for infants & young children, parent workshops, and enchrichment classes for kids. Be sure to check out our table at the spring sale for a chance to win a free membership and our flyer for a pass to Mayhem Open Gym or Splatter Open Art! UnityPoint Health – Meriter is devoted to your families’ health and happiness. With primary care clinics around Dane County, as well as virtual care and after-hours options, your convenience is our priority. Our primary care physicians offer complimentary meet and greet visits … not sure which doctor is right for you family, simply call the clinic most convenient to you. Don’t have time to come into the clinic for a minor health need, learn more about virtual care options at unitypoint.org/virtual care. Have a baby at home? At the UW-Madison Infant Learning Lab, we share your excitement about your baby’s language learning. With your help, we hope to begin to understand how infants learn about their native language. Over 1,500 Dane County families participate in our studies each year! If you’d like to learn more about how babies learn, and about opportunities to participate in our studies, visit our lab website or email us at babies@waisman.wisc.edu. Hulafrog Madison – Subscribe to Hulafrog to find the best local events, activites, and businesses that cater to kids and families! Hulafrog Madison curates the best local events, activities, and businesses that cater to kids and families in our area. Visit the site daily to find tons of awesome events and recommendations from area parents. Subscribe to their free newsletter and be ‘in the know’ about fun events going on around town that you and your kids won’t want to miss! Half-Pint Resale is proud to be the 2014 and 2015 Most-Loved Hula-frog Children’s Consignment Sale! Girl Scouts of WI Badgerland Council – The Girl Scouts continues their mission by building girls of courage, confidence, and character who make the world a better place. We’re the preeminent leadership development organization for girls. And with programs for girls from coast to coast and across the globe, Girl Scouts offers every girl a chance to do something amazing. Interested in learning more about the Girl Scout Program? Try GirlTime this summer from home! GirlTime is a fun introduction to Girl Scouting to do together at home! GirlTime is ideal for girls wanting to try Girl Scouts before joining a troop and for girls who want to continue the fun throughout the summer! Madison Area Midwives – Madison and its surrounding areas are rich in maternity care options for childbearing families. Resources include doulas, childbirth education choices, lactation services and midwives for home and hospital settings. These midwives are currently practicing in the Madison area, attending women at home, and in the Meriter hospital birthing center. Mothers’ Milk Alliance – Mothers’ Milk Alliance was born in 2007 from the meeting of two mothers: one with extra breastmilk and one with low milk supply. Both dilemmas are common and have occurred throughout time. One timeless solution has been milk sharing. Shared breastmilk can optimize infant health and nutrition, while profoundly strengthening social bonds and community resilience. But many mothers either do not know another breastfeeding woman or do not feel comfortable asking for such intimate help. Moreover, mothers want basic assurance that milk from another woman is safe. Their healthcare practitioners want this too. Mothers’ Milk Alliance is an informed choice model of human milk sharing that facilitates donor lab testing, safety education and health screening, and free and local accessibility for infants up to 6 months of age. NuturingTouchTherapy – Provides caring support using craniosacral therapy and a variety of modalities for infants, children and adults with a variety of needs. I provide a full service lactation service for parents with challenges in the newborn stage to assist with a successful nursing experience. I also provide therapy services to families having challenges as well as caring support for fussy babies. Amandalynn Jones: Professional Photographer – Amandalynn Jones is a portrait artist and freelance photographer, focusing on creating images that tell stories of genuine emotion and character. Babywearing International of Madison – Babywearing International of Madison is a Wisconsin chapter of Babywearing International, Inc., a 501(c)3 non-profit organization whose mission is to promote babywearing as a universally accepted practice, with benefits for both child and caregiver, through education and support. In addition to mainstream education sessions, workshops, and events, BWI-Madison strives to promote babywearing in all communities, with a targeted focus on underserved populations. Through partnerships with community organizations and resources, we reach out to a diverse population of caregivers and empower them to keep their children close, and experience the many benefits of babywearing. They have monthly meetings, online support, alending library, and provide outreach to the community. Speaking of outreach, find the awesome members of BWI Madison at Half-Pint near the baby carriers, helping you make informed choices! We’re sooo very excited to have them back! Chocolate Shoppe Ice Cream – making and selling over 110 flavors of Wisconsin’s finest super-premium ice cream. You want nutrition? Eat carrots. I can remember going with my sister to one of the first ones at the Labor Temple when she was pregnant with my nephew in 2007. We’ve been consigning and shopping since Spring 2012, after our little one arrived, so this was our sixth sale of consigning and shopping! It is by far the smoothest and easiest process compared to other consignment options. I’ve made it my little tradition between Half Price morning and bin pickup to do that “what it would cost at full retail” tally. The results have been pretty astounding each time. Spring 2013 we got about $550 worth of stuff for about $90. 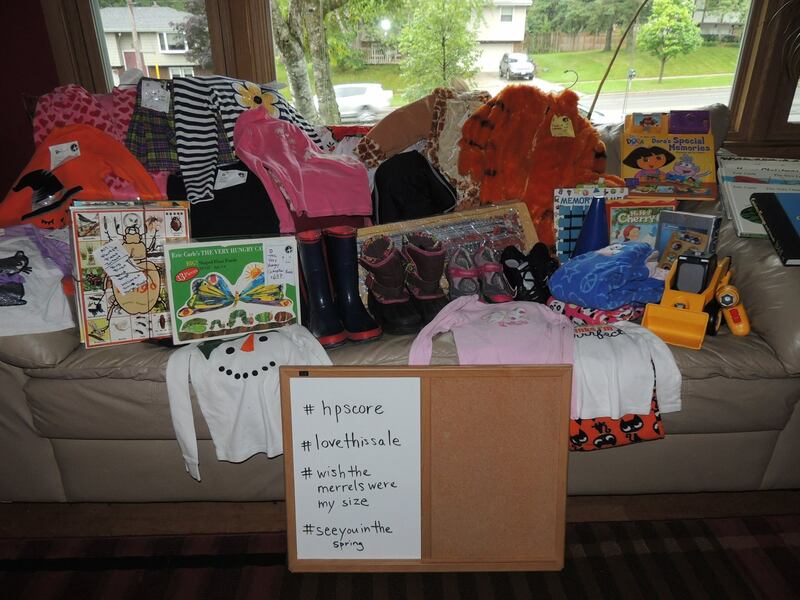 Fall 2013 the tally was $725 in stuff for about $92. Spring 2014 was $800 worth of stuff for about $134. And now this fall’s record. Consignor and Volunteer Registration is Open! I heard birds chirping the other day, and when I left work, it was light outside. Hallelujah, Spring is around the corner! 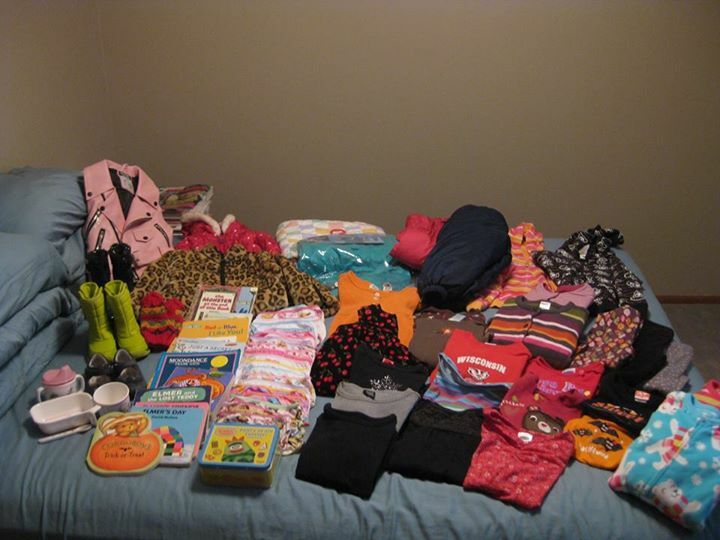 Nothing better to beat these final winter doldrums than to start getting ready for the upcoming 15th Half-Pint Resale!